My Civil War had started with Gettysburg in July 2013, standing with the Union near the Angle and watching as General Pickett and the rest of the Confederates charged through the field toward us, rebel yells punctuating their strides. It ended last Sunday, when I stood once again in a Union line, waiting. 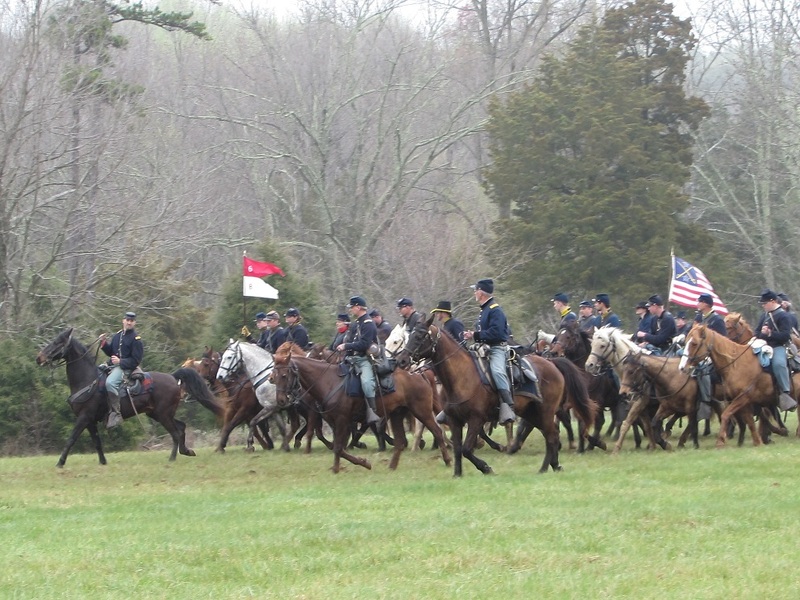 This time, I was at Appomattox, Virginia, and the Confederate Army of Northern Virginia was marching slowly toward us in formation, vanquished and about forfeit their flags and stack their arms. But before the stacking, there was the surrender. April 1865 found General Robert E. Lee and his Army of Northern Virginia fleeing across central Virginia toward North Carolina, where he hoped to meet and regroup with Confederate General Joseph Johnson and his Army of Tennessee. The Union was in hot pursuit and skirmishes erupted whenever stray brigades came together. Lee sent out an aide to find a meeting site. The aide scrutinized the buildings in a small village called Appomattox Court House and chose one he deemed appropriate. The house belonged to merchant Wilmer McLean, who agreed to allow Lee and Grant to meet there. 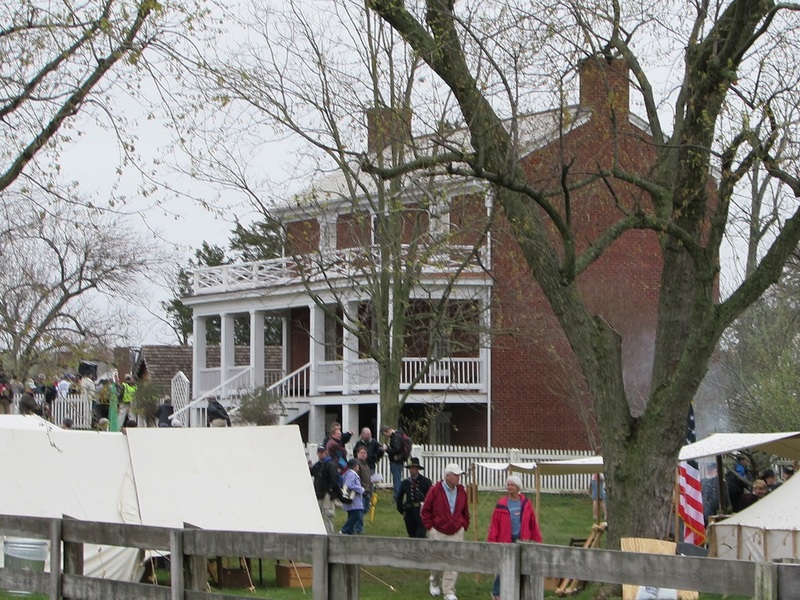 The village of Appomattox Court House, including the McLean House, is now part of a national park that is administered by the National Park Service. 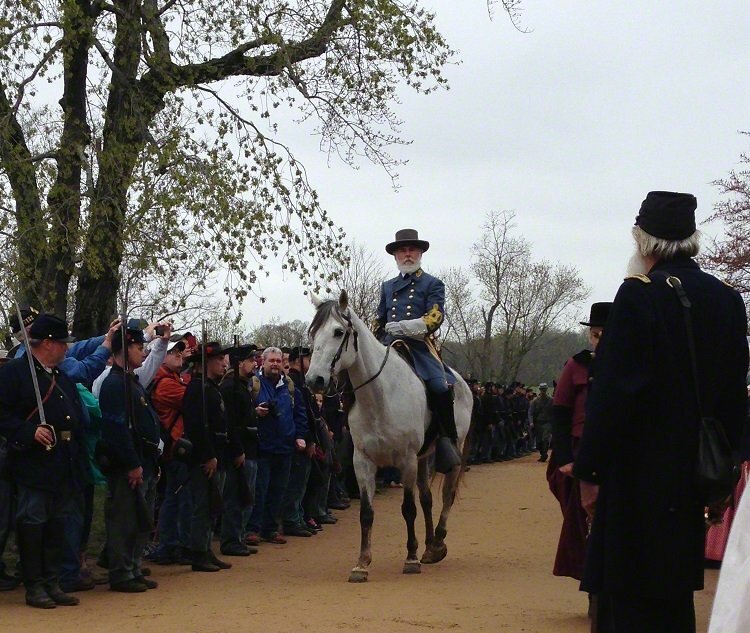 Mr. History Tourist and I took a four hour drive from DC to Appomattox Court House on April 9 and arrived about 2 pm, just in time to see Grant ride into town. Lee was already in the house waiting for Grant, as he had been in 1865. We, the undersigned Prisoners of War, belonging to the Army of Northern Virginia, having been this day surrendered by General Robert E. Lee, CSA, Commanding said Army, to Lieut. Genl. U.S. Grant, Commanding Armies of United States, do hereby give our solemn parole of honor that we will not hereafter serve in the armies of the Confederate States, or in any military capacity whatever, against the United States of America…. Done at Appomattox Court House, Va. This 9th day of April 1865. In 2015, I suspect that hour was spent posing for official photographs. When they came out, a little before 3, Mr. HT and I had joined the large crowd lining the dirt road that led away from McLean House. Grant walked to the backyard of the McLean House and worked the crowd. Lee got on Traveller and rode past us as he made his way out of town. Gallery | This entry was posted in Virginia and tagged Appomattox, Appomattox150, Civil War 150, Lee's surrender, McLean House, Wilber McLean. Bookmark the permalink. Sounds like a good day out. Nice to visit special places where history happened! It truly was a wonderful event. You are only about 45 minutes from my house when there. Next time, come see me! We will! I’d never been in that area (west of 95, south of 64, east of 81) before. It’s a beautiful part of the state. It is! VA is an immensely diverse state. Mountains, seaside, bayside, Northern VA with all the DC influence, horse country…well, I know you know all this. Enjoyed this very well-done post. Commemorations of the end of the Civil War and Lincoln’s assassination have been quite abundant in our local news lately as you can imagine. Virginians must have battle commemoration fatigue. 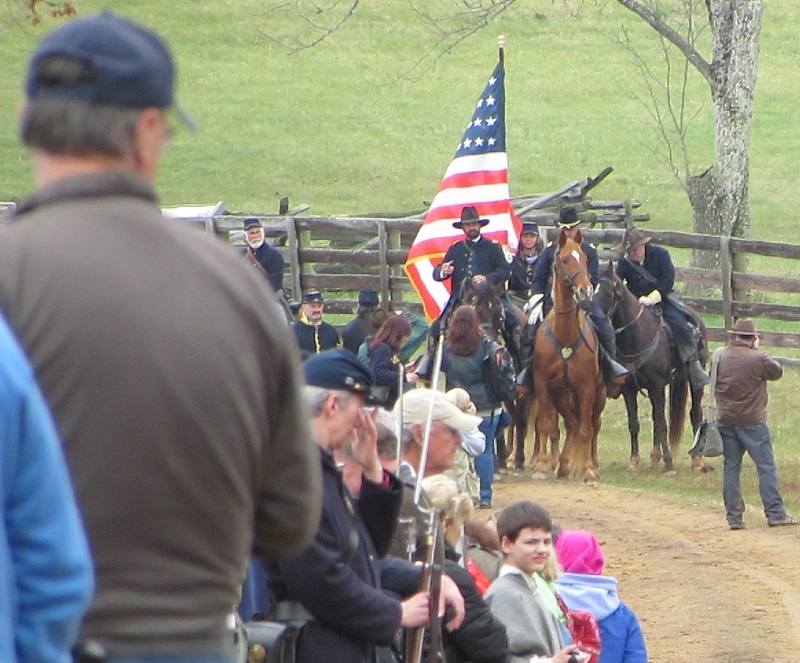 So much of history has happened in Virginia, it’s hard to get away from it (not that I’d want to…). Evidently not yet! I think there’s an immunity in true Southerners.